Seriously, I almost didn’t want to turn on my TV this morning. I try not to generally watch the news as it is because I find it so upsetting but the whole Japan situation just keeps getting worse and the imagery and video that is coming out just gets more and more horrific. These acts of god, not that I even believe in god at this point, really stick it in and break it off, don’t they? 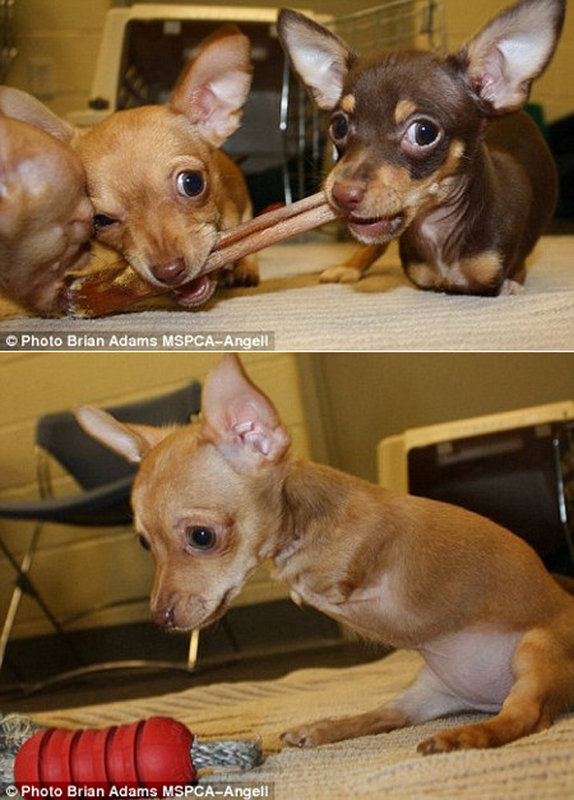 Then I found these little guys, a trio of Chihuahuas in Massachusetts all born without their front legs, because when it rains it pours and the world just wanted to make sure we knew it was completely unfair and inhumane and cruel in case we weren’t 100 percent sure.